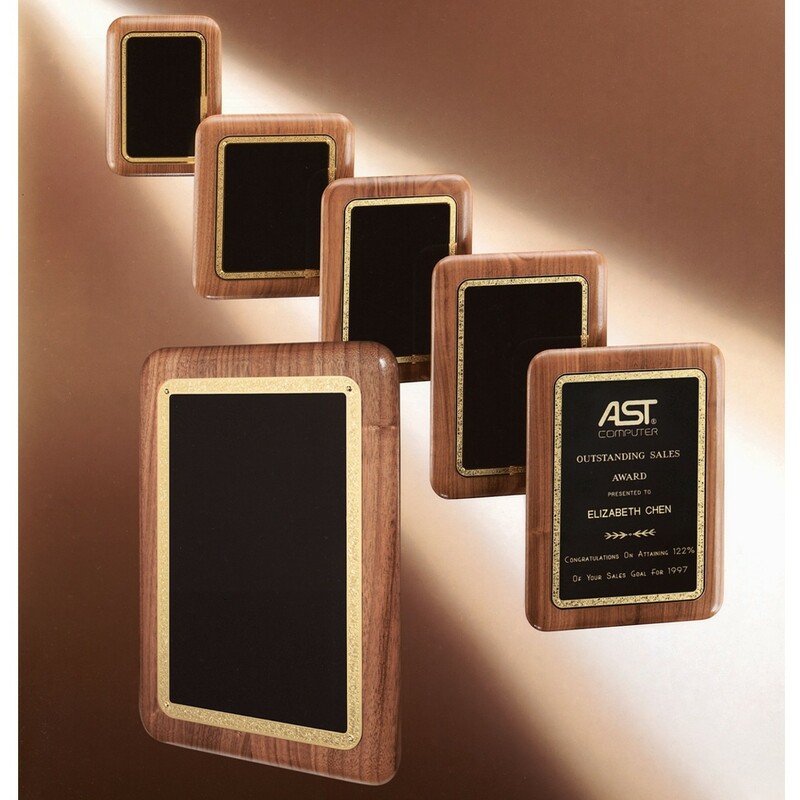 Our American Walnut Wood Award Plaque is a timeless design, sure to impress. Available in 5 sizes, this plaque features a black brass engraving plate with a gold Florentine border. The plate is attached to a solid walnut piano finish plaque with smooth corners and edges. Price includes 12 lines of engraving. 5x7: 7", 7x8 8", 7x9: 9", 8x10.5: 10.5", 9x12: 12"
5x7: 3.75"x5.75, 7x8 5.25"x6.25", 7x9: 5.25"x7.25", 8x10.5: 6"x8.5", 9x12: 7"x10"